Alexis Sanchez (£11.8m) followed up his Gameweek 25 brace by scoring in Arsenal's UEFA Champions League defeat by Bayern Munich on Wednesday, although Fantasy Premier League managers continue to move him out of their squads. Two of Sanchez’s last three Premier League strikes have arrived via the penalty spot, where he benefitted in Germany by netting the rebound after his initial spot-kick had been saved. But with Arsenal missing Gameweek 26 due to Southampton's involvement in the EFL Cup final, Sanchez has been subject to more sales than any FPL midfielder since the weekend deadline. More than 45,000 managers have parted company with the Chilean, who could also miss Gameweek 28 should Arsenal book a place in the FA Cup quarter-finals by defeating Sutton United on Monday evening. Theo Walcott (£7.4m) dropped to the bench in Munich as Alex Oxlade-Chamberlain (£5.8m) was handed an attacking-midfield position alongside Mesut Ozil (£9.4m) and Alex Iwobi (£6.0m). Kieran Gibbs (£4.7m) was also selected ahead of Nacho Monreal (£5.9m) at left-back for the second successive match, having started at home to Hull City on Saturday. 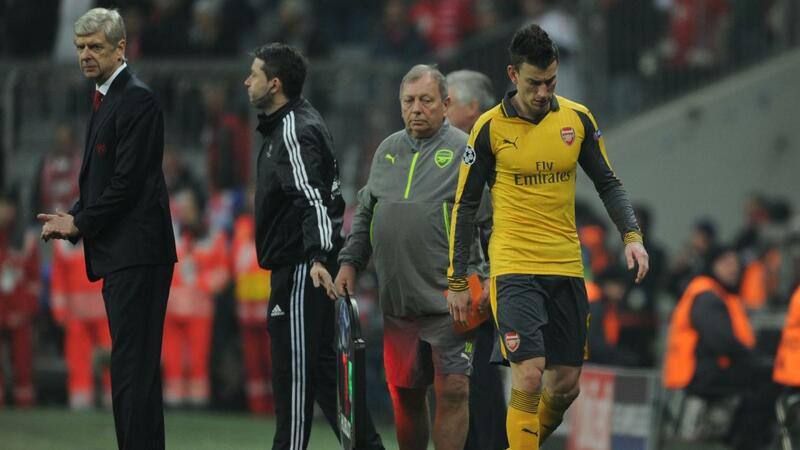 The Arsenal back four could be set for further disruption, with Laurent Koscielny (£6.3m) suffering a hamstring injury and limping off. The Frenchman has been sold by 12,000+ as his 16.9% FPL owners consider alternatives. Gabriel (£4.8m) is likely to be in line for starts should Koscielny be sidelined. Arsenal's return leg with Bayern takes place on Tuesday, 7 March, only three days after a testing Gameweek 27 trip to Liverpool. But the 5-1 loss, Arsenal's third defeat in four matches across all competitions, leaves them facing a tough task to qualify for the next round of the UEFA Champions League. For FPL managers this could mean that Arsene Wenger is unlikely to rotate his line-up for the Anfield encounter.